Avril Lavigne is not only a singer. She is also an actress and songwriter. She plays some musical instruments such as Drums, piano and guitar. Matt is the name of his brother. You can see him playing bass in Avril Lavigne’s video clip, girlfriend. Forbes states that Avril Lavigne is one of the successful and richest young celebrities in the world. Her net worth can reach the rate around 70 million dollar. Even though Avril Lavigne can be seen around in USA, she is a French- Canadian girl. Her religion is Christian. When she was 13 years old, a local radio sponsored a singing contest. She was the winner in the contest. Then Avril worked to cheer the country music festival and chairs before she is a famous singer now. Sk8er Boy is her first video. It makes her gain popularly and fame around the world. She has her younger sister Michelle appears in the video. You can see her in a car. 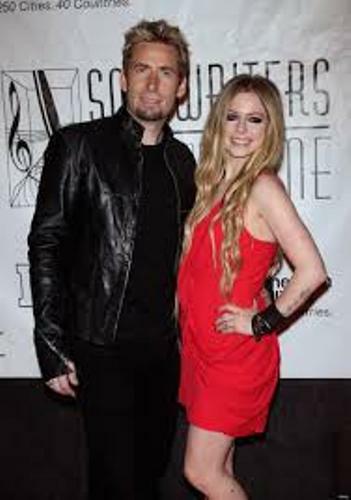 Avril has its own style and fashion sense. She likes pop rock and punk rock. Her full name just like what you know is Avril Ramona Lavigne. Her nick name is Abbey. Her eye color is blue with the natural hair color of light brown. She is a vegetarian. Avril was born on 27 December 1984. Her zodiac is Libra. She was 1.58 meter. It was a wonderful moment for Avril Lavigne to share stage with the diva Shania Twain when she was only 13 years old. Now she is famous. But many people always compare her with Alanis Morrissette. When she was a child, Avril is involved in many church choirs. Many people at that time stated that she look liked an angel. In the age for 16 years old, she began to work on her first CD which made her to go to Manhattan. Do you have any comment on facts about Avril Lavigne?